WARNING: I don't know what the io9/Downton Abbey crossover audience is, but this video contains spoilers for season 3 of the show. 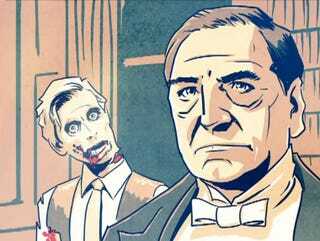 All you Downton Abbey fans who are caught up, you should be quite pleased by this small motion comic, which illustrates even the dead must have manners at Downton. As for everybody else? It's snotty rich people getting eating by overly polite zombies. What's not to love?